Spend 1-2 weeks with full-time FMC missionaries who live in the Amazon rainforest of Ecuador! 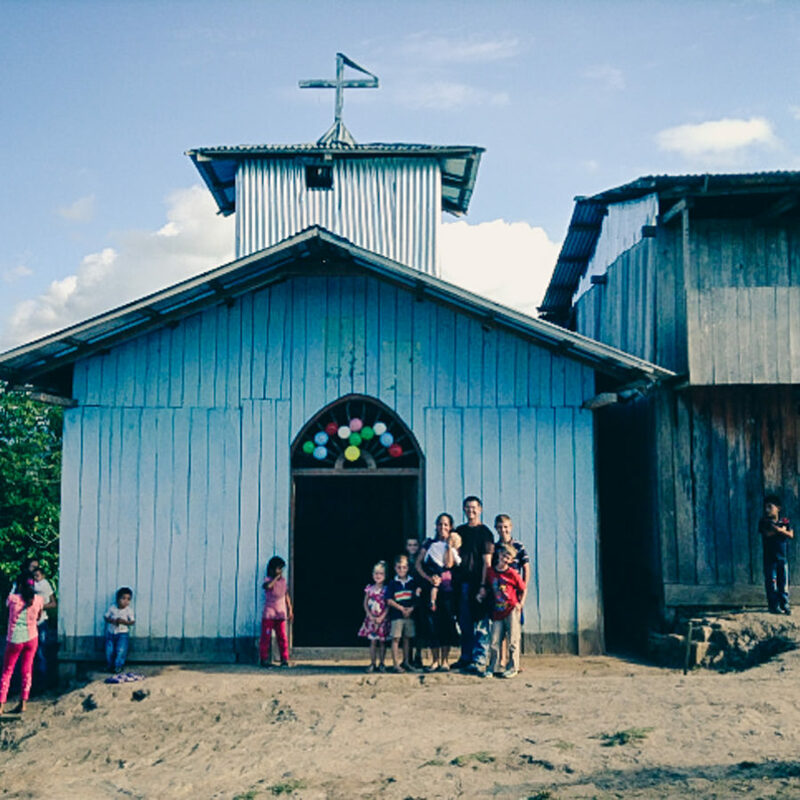 Enter into the lives of these missionaries, encountering and serving the local people of the Napo province through evangelization and service to the poor. In the parish where our missionaries serve, there are more than 70 smaller communities and currently only one priest. 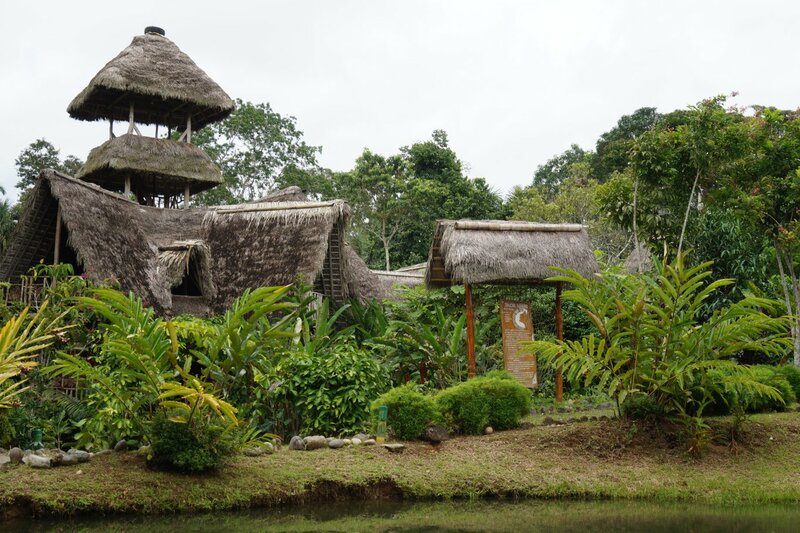 Several of these communities can only be reached by canoe and hiking through the jungle. Along with the missionaries, you will go to share the Good News. You will be based with our missionaries in Chonta Punta. Each morning everyone gathers for prayer and breakfast. After that, smaller groups go out for service: work projects, such as building or renovating a chapel or home, or helping the local people with their crops; visiting the sick, elderly and handicapped; and bringing material necessities to families. In the evenings there will be opportunities to share your testimony and pray with the locals at various prayer meetings. Traditionally, there is one day when everyone goes on the “long hike” to visit an indigenous Kichwa community that doesn’t receive many visitors because of the challenge of reaching them. It is a day of hiking through the jungle and is physically demanding. We typically play sports with the kids, share testimonies and scripture of God’s goodness and faithfulness, and share meals together. You may even enjoy some refreshing chicha made by the local people. Everyone will stay the night in the community. The next day we return to Chonta Punta. One day, towards the end of the trip, we dedicate up to 2 hours for prayer and alone time with the Lord, which we call “desert day.” Like our Lord who went off alone to be with His Father in prayer, this time is spent in nature, often near local waterfalls or the Napo river. That night you will stay in a small community called Sinchi Warmi, made of several families dedicated to preserving and sharing the Kichwa way of life. Sundays are observed as a day of rest. Throughout the entire 1-2 weeks of the mission, we encourage daily personal prayer time with Scripture, while emphasizing the urgency and excitement of Jesus’ mandate to all His faithful “to go therefore and make disciples of all nations.” And we always want to be open to the Holy Spirit! The last day of the trip is a pilgrimage day in Baños. There will be Mass at La Basílica de Nuestra Señora de Agua Santa. There will be an opportunity to hike up the side of the volcano Tungurahua up to a Marian statue which overlooks the city. After your time in Baños, you will bus back to the airport to depart from Quito. Individuals and families can join any of our planned trips. We also welcome church groups, school groups, prayer groups, youth groups, homeschool groups, clubs, and organizations. PLEASE NOTE: There is difficult hiking involved. Those with physical limitations should discuss with our mission trip coordinator whether this is the right trip for them. Groups will stay in local housing in Chonta Punta with the local missionaries. There are 2, two-story houses on the property, including several bathrooms with running water and cold water showers. You will have a true missionary experience while living with the local missionaries, enjoying local cuisine and surrounded by natural beauty. Book your flights into Quito, Ecuador. Depending on your arrival time, our FMC missionaries will either meet you at the airport and ride with you to your destination for the first night, or meet you after a night in a local hostel in Quito. The equator runs through Ecuador, just north of Quito. Our missionaries actually live in the southern hemisphere. Mt. Chimborazo, found in Ecuador, is the highest mountain above earth’s center. It is also an active volcano. In 1873, by petition of President Gabriel Garcia Moreno, Ecuador was the first country in the world to be consecrated to the Sacred Heart of Jesus. The official language of Ecuador is Spanish. Many of the older generation of Kichwa in the Amazon jungle speak Kichwa. There are ten other native languages spoken by various indigenous peoples. Make sure you try the chicha de yuca!